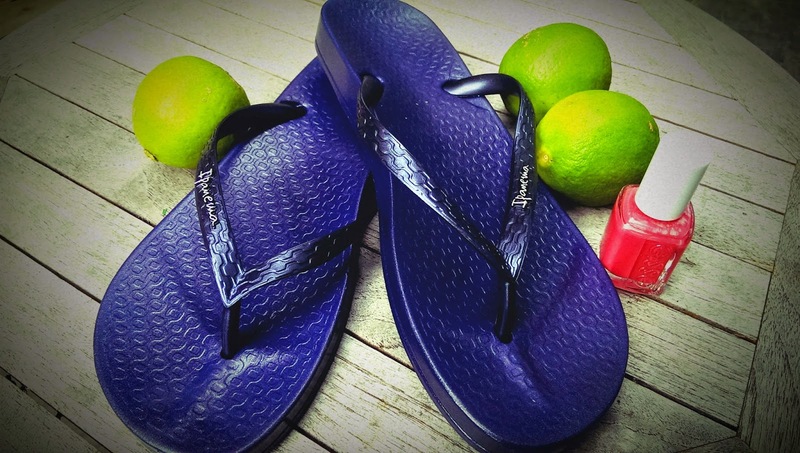 Now if I'm honest I'm not tall, I'm definitely not tan, I'm not particularly young but I like to think that I'm at least a little bit lovely and I do have a brand spanking new pair of Ipanema flip flops*. Unfortunately, sun, beaches and, well, anything vaguely tropical are pretty hard to come by in West Yorkshire, so if you want that holiday vibe you've got to create your own. With that in mind I painted my toe nails in the most summery shade I could find - Peach Daiquiri by Essie, slipped on my Ipanema flip flops, whipped myself up a classic Brazilian Caiprinha cocktail and chilled out with some Bossa Nova on the stereo. 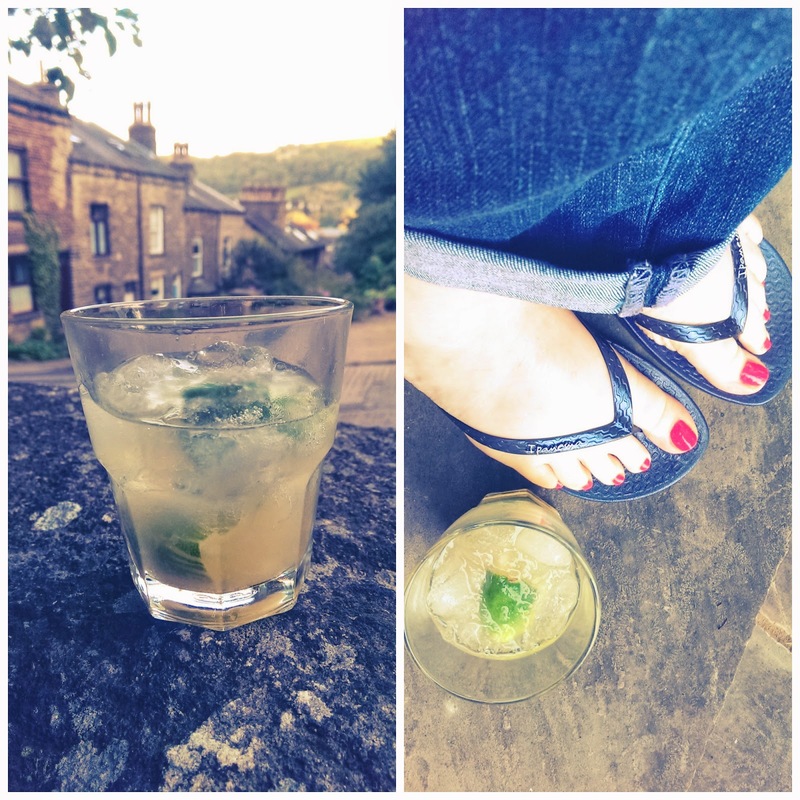 Caipirinhas are super easy to make** - chop half a lime into wedges and squeeze the juice into a glass and then with a muddler or the end of a rolling pin give the juice, the lime skin and 1 and a half teaspoons of golden caster sugar a good squishing together. Fill up your glass with crushed ice and then pour a shot of Brazilian spirit Cachaca over the ice. I found Cachaca difficult to get hold of so I used white rum instead. Autumn is my favourite season, however I think it's important to squeeze every last drop out of summer before the leaves turn brown, the temperature plummets and the nights draw in, so having a few moments sat in my garden watching the sun set over the valley was just perfect! 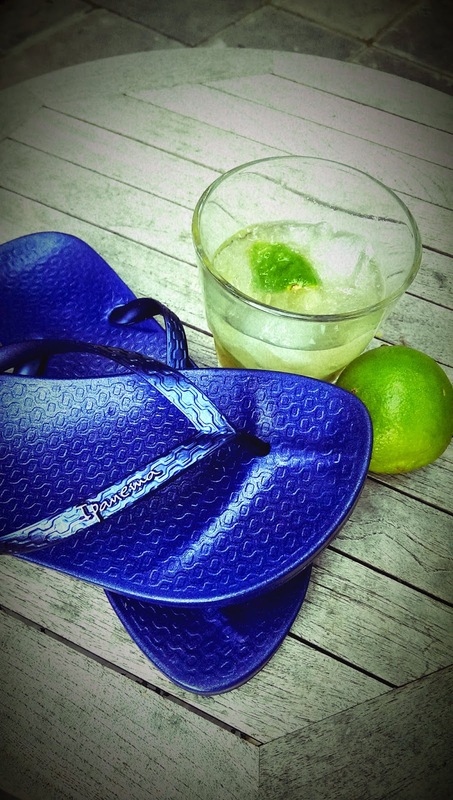 Ipanema flip flops are available at www.ipanemaflipflops.co.uk and you can get 15% off by using the special code SUM14 (see below or the ad in my sidebar). 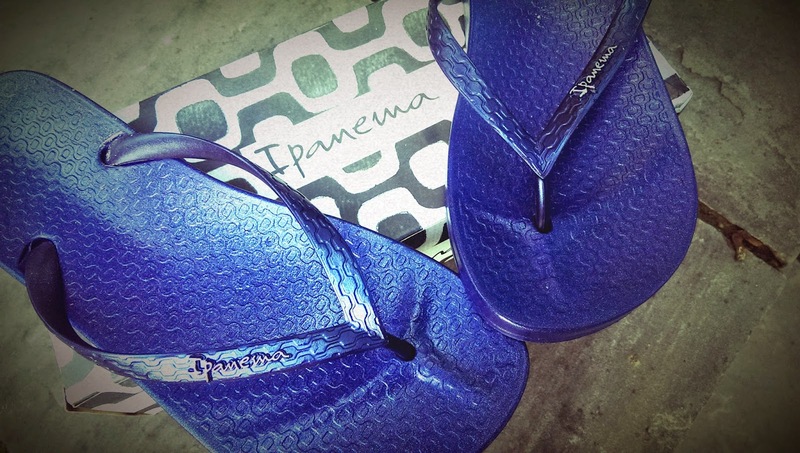 *The lovely people at Ipanema gifted these flip flops to me. **Over 18s only, please - and I don't have to tell you to drink responsibly! !